The front-firing bass port reduces boundary coupling, the rotatable midrange module allows flexible positioning in the room while the engineered surface reduces diffraction distortion. Multiple input connections ensure the ROKIT 10-3 G3 will easily integrate in any system configuration. Features updated voicing for more punch and control, and overall a more balanced sound. 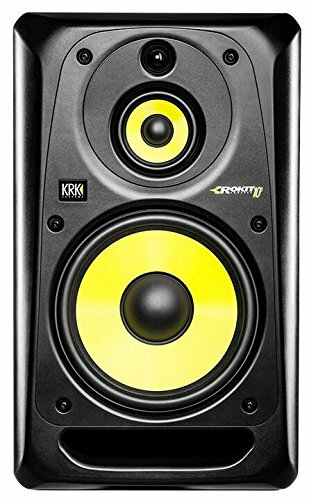 The largest Monitor of the ROKIT Family, the KRK ROKIT 10-3 G3 will deliver every detail of performance thru its ample headroom and tight bass tuning. View More In Monitor, Speaker & Subwoofer Parts. If you have any questions about this product by Gibson Pro Audio, contact us by completing and submitting the form below. If you are looking for a specif part number, please include it with your message.